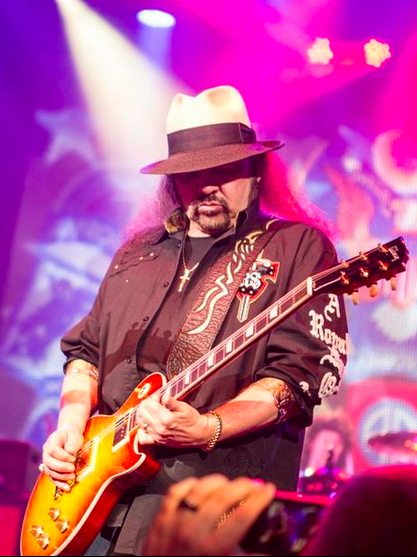 Lynyrd Skynyrd have cancelled the final three dates of their 2017 schedule due to a medical emergency involving guitarist Gary Rossington. According to the Tallahassee Democrat, details of Rossington’s health issue were not released when a November 3 date at the Capital City Amphitheater in Tallahassee, FL was shut down on the day of the show. Formed in Jacksonville, FL in the mid-1960s, Lynyrd Skynyrd issued their debut album, “Pronounced 'Lĕh-'nérd 'Skin-'nérd”, in 1973. Just days after the release of their fifth record, 1977’s “Street Survivors”, Lynyrd Skynyrd’s chartered airplane crashed near Gillsburg, MS en route to a show in Baton Rouge, LA, killing the pilot, co-pilot, the group's assistant road-manager and three band members – frontman Ronnie Van Zant, guitarist Steve Gaines and backup singer Cassie Gaines. Following a decade-long hiatus, the surviving members reunited for a tribute tour and, while enduring a series of lineup changes through the years, have continued to record and perform ever since. Lynyrd Skynyrd were inducted into the Rock And Roll Hall Of Fame in 2006. Lynyrd Skynyrd has been cancelled due to illness. Tickets can be refunded at point of purchase. We apologize for any inconvenience.